At first, we know what is tds-Disintegrated solids" allude to any minerals, salts, metals, cations or anions broke up in the water. Add up to break up solids (TDS) involve inorganic salts (essentially calcium, magnesium, potassium, sodium, bicarbonates, chlorides, and sulfates) and some little measures of natural issue that are broken up in the water. 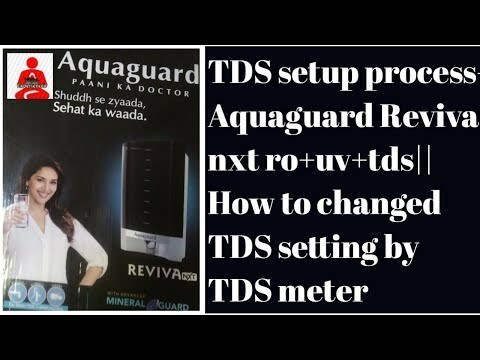 Hi, Friends in this video I made for TDS setup changing process-in Aquaguard Reviva nxt ro+uv+tds. How to changed TDS setting in the home by TDS meter used in this product has been shown step by step in my experienced. At first open this purifier by a screwdriver easily, next you see a screw is attached in the bottom that already shown in this video. when you clockwise rotate the screw then TDS to be reduced and if you rotate the screw anticlockwise then TDS will be increased. Only necessary TDS meter for checking in every step to set standard TDS (approx 60 to 90 in my preference). 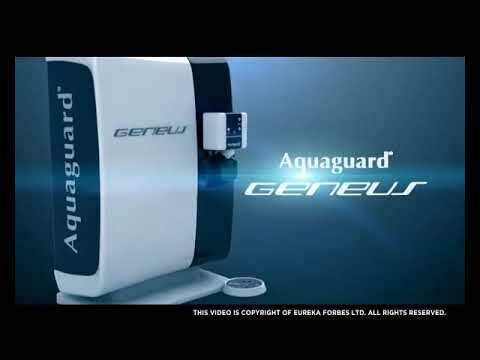 Adjust bottom screw and checked output water TDS from the upper position of the machine already shown in the video. It is very easy and necessary also. The TDS level of 10 PPM is not at all recommendable for drinking. The desirable level of TDS as per Indian Standard is 500 ppm. Kindly check the TDS of your input water, if it is up to 500 ppm, R.O. treatment is not required. But you do not go wrong on the minimum level of TDS, at present environment of the condition, it is important to drink pure water at the possible level to avoid waterborne deceases and to maintain a good health track. If you maintained a very low TDS level of water, say less than 50 ppm, the water has a dilute or flat taste to it. The water may be unpalatable beyond 500 ppm, - the water may have a sour, bitter or metallic taste. Such water also has a lower potential to quench thirst. There are claims that above 500 ppm TDS levels of water intake increase or possibilities a person's susceptibility to falling stones, kidney stones, and other such conditions, but there is no real evidence to support this.